What happens when Cinderella wears shoes she’s made from recycled materials to the ball? Tap into students’ sense of humour with five lively plays that take the plots, characters, and settings of traditional fairy tales and turn them on their heads! 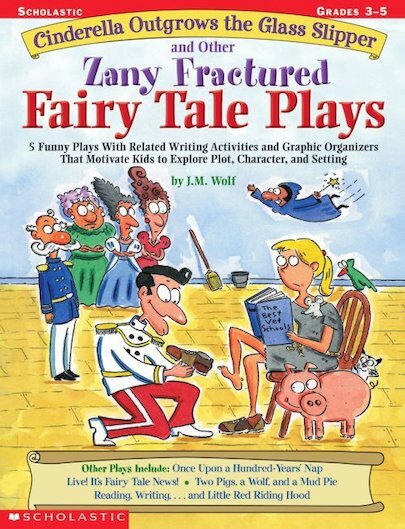 Includes character parts written at a variety of reading levels, book links, and writing activities that help students build on traditional fairy tale structures and write in different genres.